Stemming from environmental, genetic, and situational factors, chronic disease is a critical concern in modern medicine. Managing treatment and controlling symptoms is imperative to the longevity and quality of life of patients with such diseases. 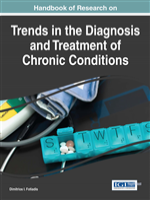 The Handbook of Research on Trends in the Diagnosis and Treatment of Chronic Conditions features current research on the diagnosis, monitoring, management, and treatment of recurring diseases such as diabetes, Parkinson's disease, autoimmune disorders, and others. This handbook is intended for practitioners and researchers across various disciplines including, but not limited to, biology, biomedical engineering, computer science, and information and communication technologies. Aimed at identifying new disease determinants and the way in which new technologies can contribute to improved health outcomes, this handbook covers a variety of topics, including wearable and mobile technologies, capillaroscopy imaging, diagnostic and monitoring methods, and disease prediction modeling, among others. 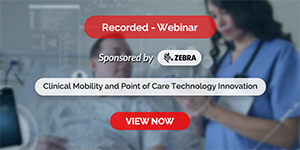 Topics Covered in this book include Assistive Technologies, Clinical Ontology, Computer Predictive Models, In-Home Care Systems, Machine Learning and Data Mining, Medical Data Analysis, Personalized Management Methodologies and Signal and Image Processing.